Nelifer ("Nelly") is a beautiful and sweet Holsteiner mare who is on vacation from her busy show jumping career! 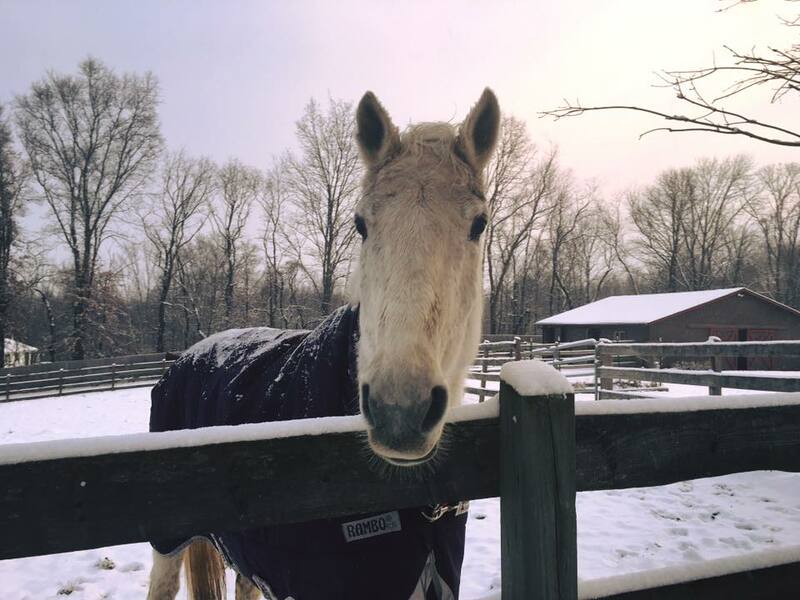 Maggie is a retired, 18-year-old Quarter Horse, whose generous connections have committed to supporting her for life. We are grateful they entrusted Scarlet Ridge Farm with her care. Bon Jovi is a strawberry roan miniature horse. He is a wonderful companion and good friend to all. Endeavour, or "Jack," is Jennifer's childhood equitation horse. At 28 years old, he was the elder statesman of Scarlet Ridge Farm, and was cherished and adored by our family for twenty-two years. We made the difficult decision to let him go in May of 2017. We will love and remember him forever, and are so grateful he spent the last year of his beautiful life at home on our farm.